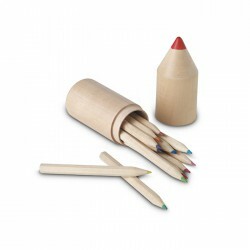 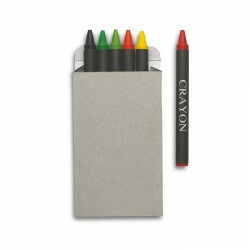 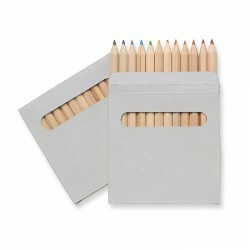 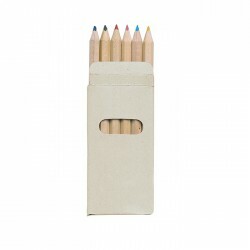 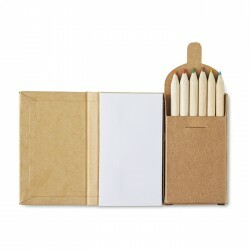 Set of 12 colour pencils in a natural carton box. 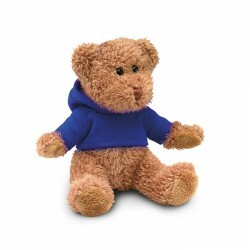 Teddy bear plus wearing a hooded sweater. 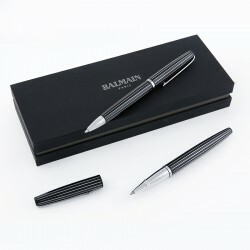 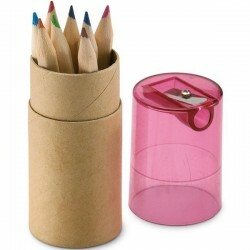 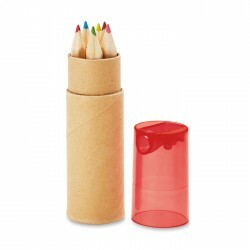 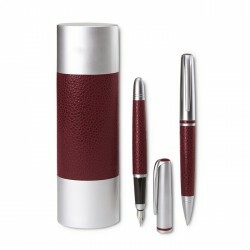 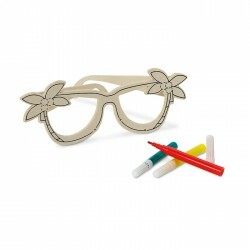 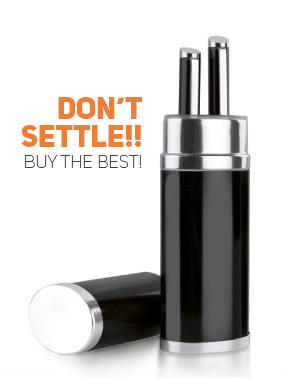 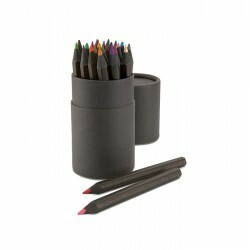 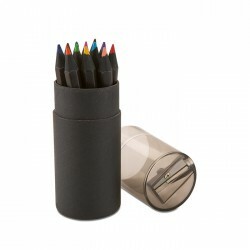 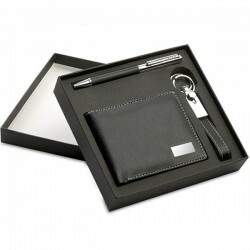 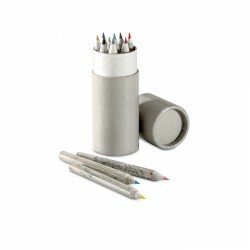 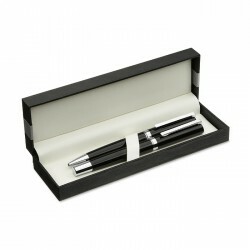 Black coloured paper tube box contains 12 colouring pencils and a pencil sharpener in the lid of the box. 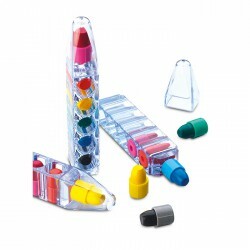 Set of 6 wax crayons in clear pen shaped container. 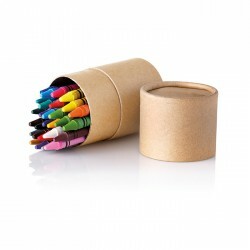 Set of 6 wax crayons in natural carton box, non-toxic. 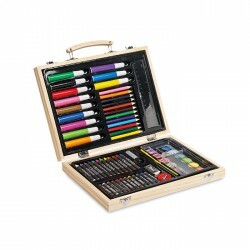 Artist's set in wooden box including 67 pieces (wax crayons, oil pastels, markers, coloured pencils, water colours, sharpener, glue, eraser, paint brush, ruler and pencil). 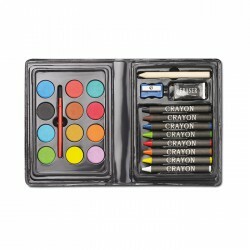 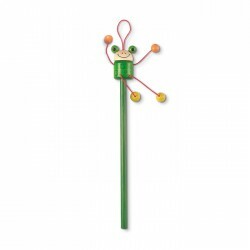 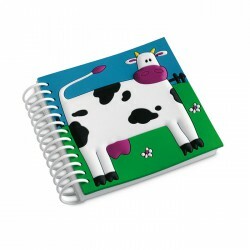 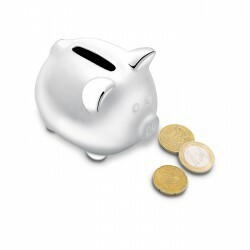 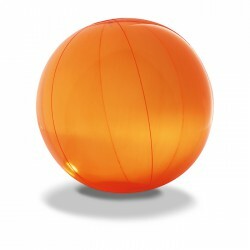 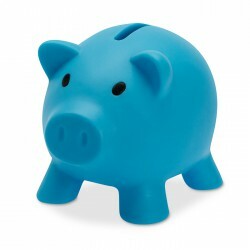 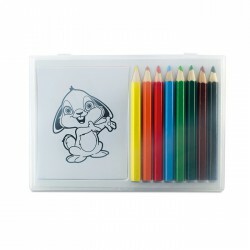 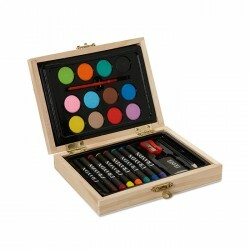 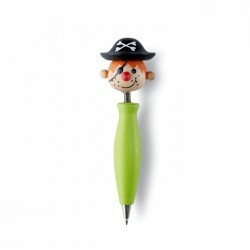 Compact artist set for children in PVC plastic, including 24 essential pieces for drawing and painting. 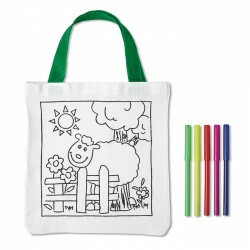 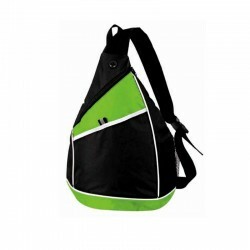 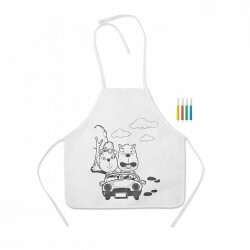 Cotton tote bag with 5 colouring pens, 200 gr/m².